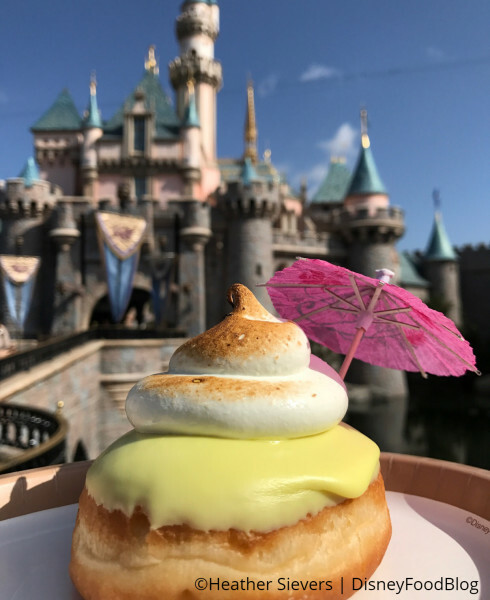 The Disneyland Donut Cart has done it again! 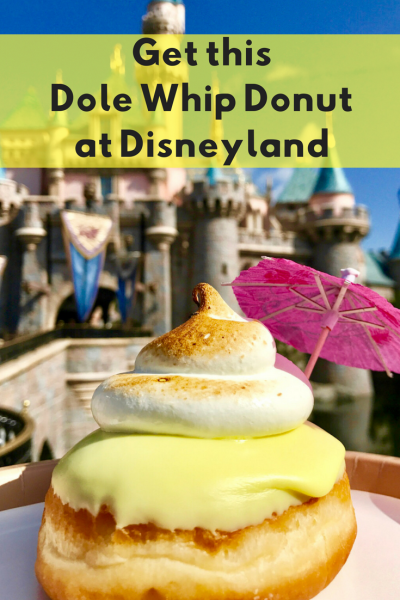 They’ve brought back the Dole Whip Donut! 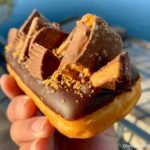 As you can see, this donut is totally Instagram-able! Just find yourself a castle, and click away! 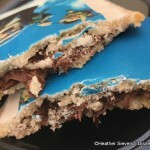 Inside this creation is pineapple filling with bits of fruit in it, so it packs a lot of tropical flavor! 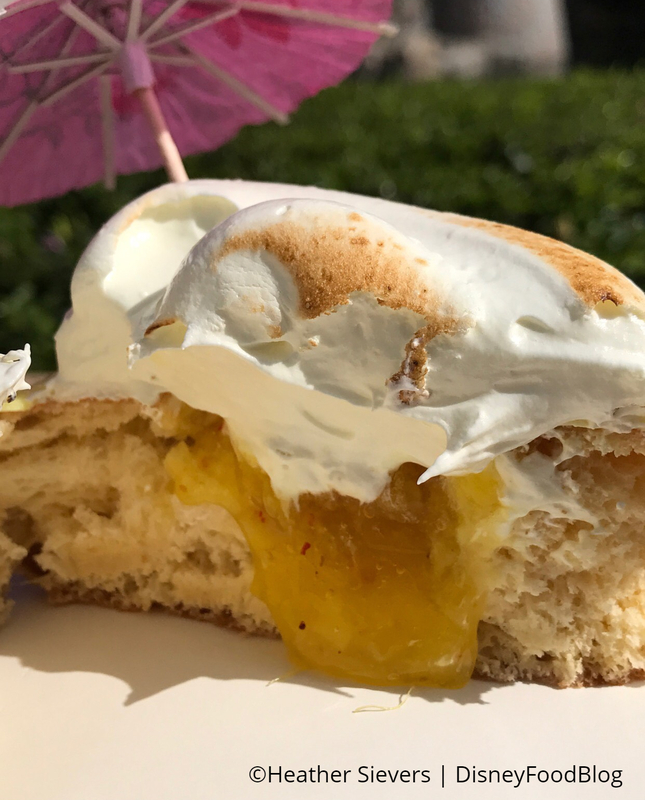 The topping is meringue, toasted slightly. 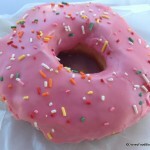 All told, the donut is delicious and simple, just like a Dole Whip! 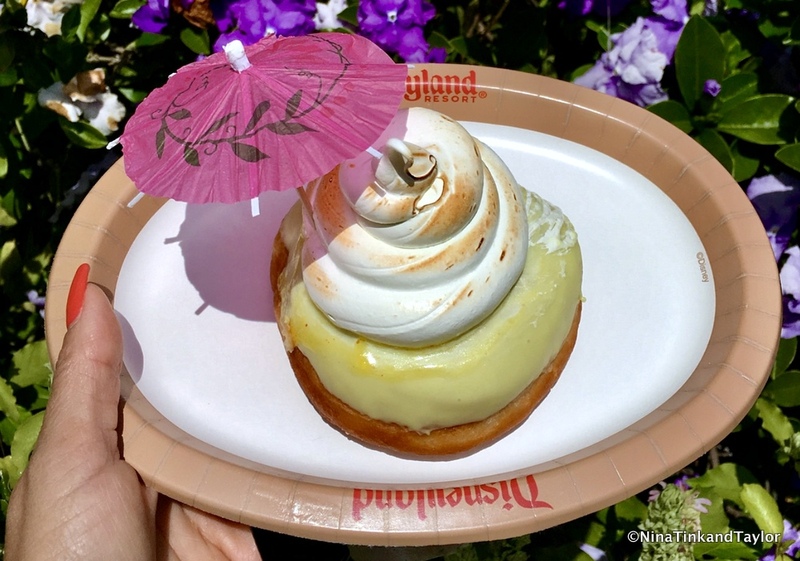 But remember, Disney cast members are quick to say that this isn’t a Dole Whip Donut but rather a “Pineapple Donut with Meringue.” Yeah, okay, call it what you want: we taste Dole Whip in donut form! 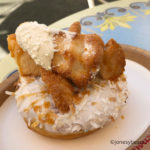 Also good to remember — the donuts at the donut cart in Disneyland are only around for a short time. They’ll change them out again soon, so get your “pineapple donut” while you can! 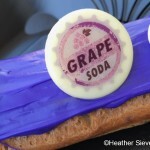 What Disney treat would you immortalize in a donut? Daydream with us in the comments! 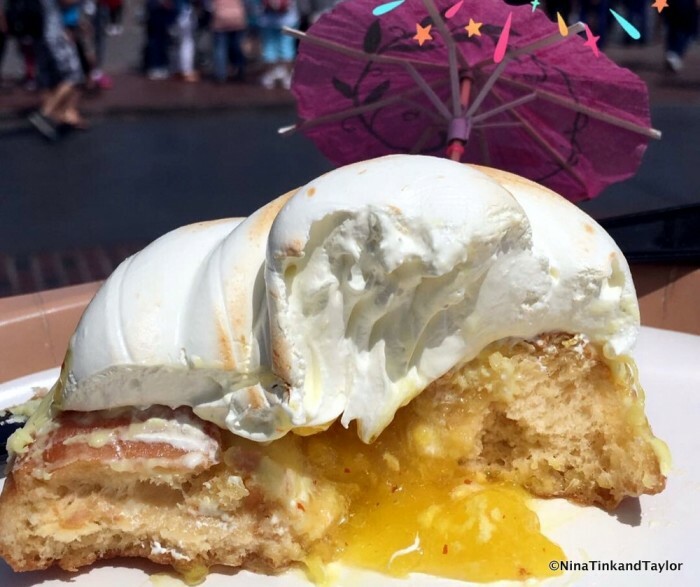 FYI, it’s a pineapple donut, not a dole whip donut. I said that to the chef yesterday when they were stocking the cart. He said they are pineapple donuts. There is only one thing in the park that is allowed to be called Dole Whip. Where is the donut cart located… I have never seen it! 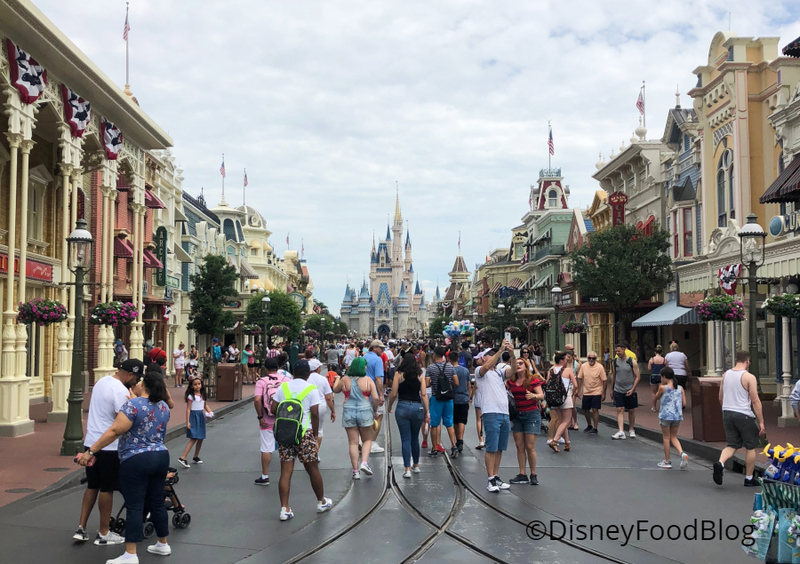 Dianna, the cart is to the left of Sleepy Beauty Castle. Did they announce when they’re disappearing again? 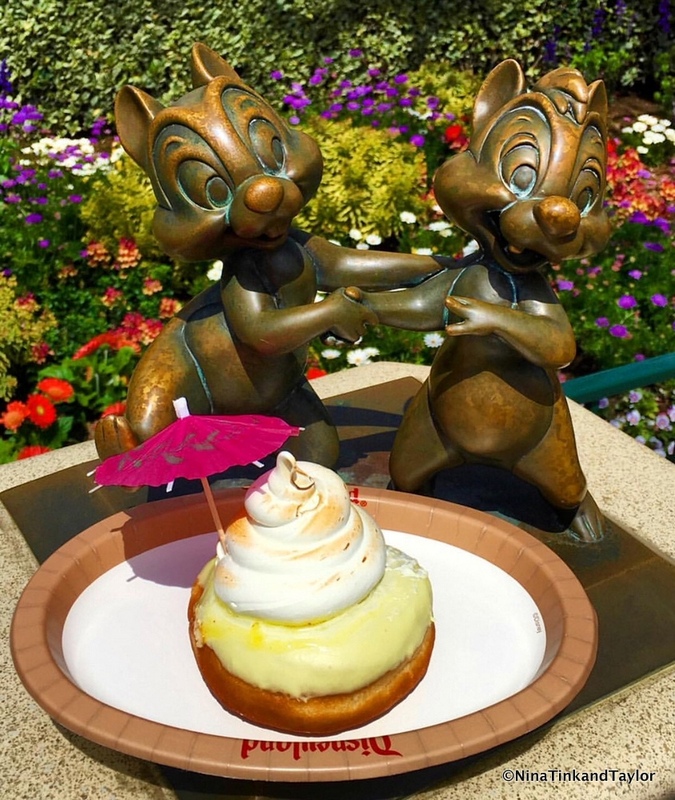 The donut cart at Disneyland rotates its donuts often — day to day sometimes, Samantha!